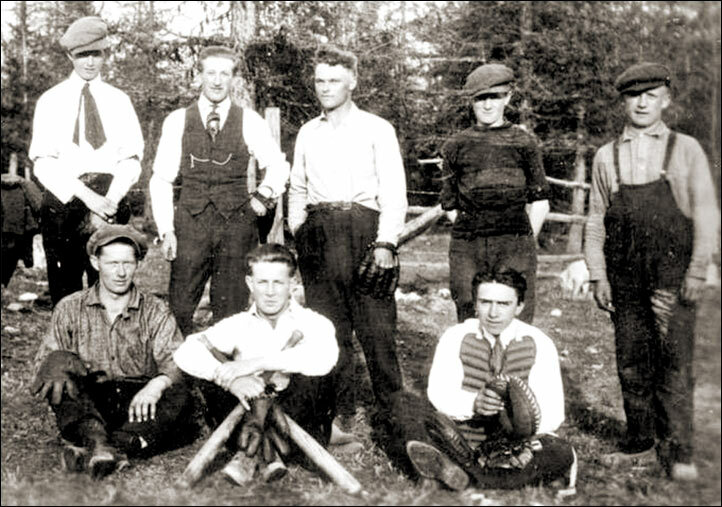 The 1922 team from Brouse (Nakusp area) BC (just eight players when the photo was taken). Top row (left to right) - Ed Anthony, George Aalten, Emil Neubrand (Newbrand), James Baird, Bill Henke. Bottom row - Henry Aalten, Gordon Baird, Fred Goniak.